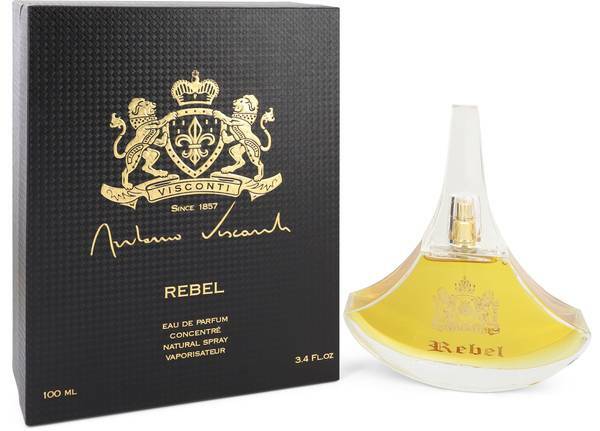 Antonio Visconti Rebel Perfume by Antonio Visconti, The essential patchouli fragrance, Antonio Visconti Rebel is a dark, velvety oriental scent for women and men that fuses accords of Arabian incense with enigmatic florals. Earthy-sweet patchouli opens, enriched with resinous elemi and accompanied by narcotic nuances of ylang-ylang and hazy heliotrope. The patchouli accord deepens at the heart, joined by aromatic cedar, Turkish rose and opoponax. 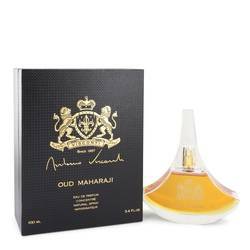 The finish is a richly balsamic blend of myrrh, Read More Read More incense and sandalwood fused with smoky incense and hints of sweet, vanillic benzoin, leaving a hypnotizing patchouli trail that complements evening and cold weather wear. Italian luxury fragrance label Antonio Visconti launched this unisex scent as part of the Esprit Libre collection, which also includes Silver Wood, Bal Masque, Black Tear, Extrait de Cedrat, Foliage and Glam Flower. House scents are displayed to stunning effect in a distinctively curved glass flacon whose shape is inspired by the intersection of the twin crescent phases of the moon. All products are original, authentic name brands. We do not sell knockoffs or imitations.